Photo Courtesy of FRANCOIS GUILLOT/AFP/GettyImages. 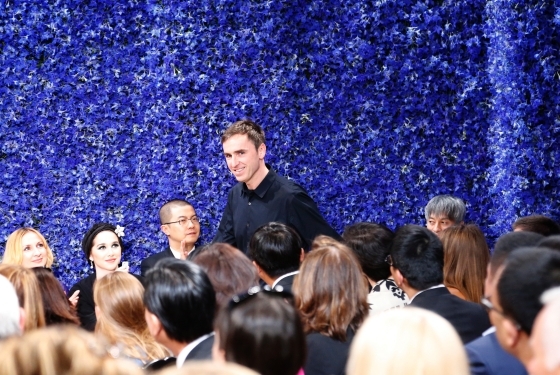 The fashion world was abuzz with talk of Raf Simons’ debut for the house of Dior – and now the designer himself is talking about the experience! In a video released by Dior, Simons expands on his inspiration and his goals for the collection. He also talks about his research into the work of Christian Dior, and delighting in little details he discovered along the way. 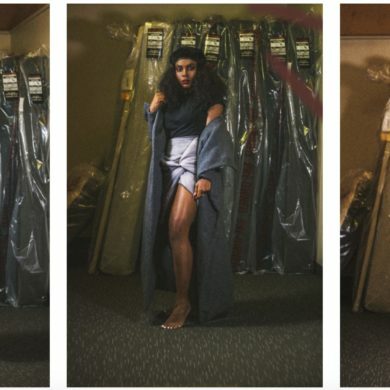 Simons’ inaugural collection received favorable reviews – and we were certainly digging his tuxedos and original take on the dresses-over-pants look. But its clear that the designer is just getting started, and we’ll have even more to rave about next season. Follow the jump to watch the entire interview! Previous Why don’t you… go see the Man Ray | Lee Miller exhibit! Next That Gal is Naomi Sims!